The supervisory board of PrJSC Kyiv Motorcycle Plant (Kyiv) of businessman Vasyl Khmelnytsky has agreed on signing a surety agreement for Alfa-Bank’s (Ukraine) opening a credit line for Unit Holdings LLC (Kyiv) to finance the construction of UNIT.City. 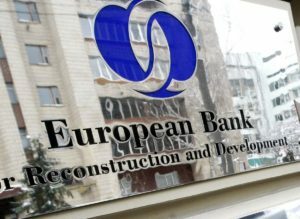 According to a report in the information disclosure system of the National Securities and Stock Market Commission, the decision to consent to the transaction was made during an extraordinary shareholders’ meeting on November 30, 2018. In particular, the matter concerns the intention of Unit Holdings LLC to raise a five-year non-renewable credit line in the amount of $8 million with an interest rate not exceeding 12% per annum from Alfa-Bank. The guarantor in the transaction will be PrJSC Kyiv Motorcycle Plant. The press service of UDP company told Interfax-Ukraine the money raised will be used to complete the reconstruction of two new campuses of the first stage of UNIT.City. As reported, Kyiv City Council at the end of September 2018 decided to lease two land plots with a total area of 22.2 hectares at 8 Simyi Khokhlovykh Street to Unit Zhytloinvest and Unit Holdings for the construction of a housing and office complex. 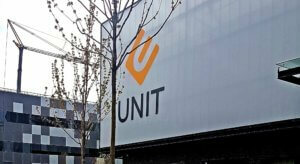 According to UNIT.City’s website, as of November 2018 two business campuses and the co-working space Chasopys.UNIT with 85 resident companies were operating in the innovation park. It is planned in 2019 to expand the park with three more business campuses, increasing the number of tenants to 150 companies. It is planned that by 2025 the total area of UNIT.City will be 500,000 square meters. Earlier it was reported, with reference to UDP CEO Vitaliy Melnyk, that UDP and KAN Development are engaged in the joint development of the construction of a six-storey business center in the territory of UNIT.City. Its total area will be about 13,000 square meters. UNIT.City Innovation Park was officially opened in April 2017 in the territory of the former Kyiv Motorcycle Plant. The co-working space Chasopys-UNIT, the IT school UNIT Factory, three laboratories, a business campus, a foundation and five accelerators are located in its territory. The leading supplier of telecomm and IT solutions ZTE has opened a long-term credit line to public joint-stock company Ukrtelecom to finance projects, foreseeing the provision of $10 million at the first phase, the public joint-stock company has said in a press release. “In the current conditions, we see a great interest of global business in the national infrastructure ICT [Information and Communication Technology] operator. 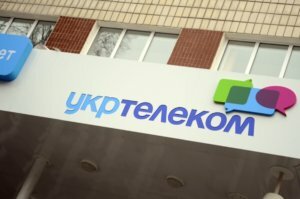 This is a line which will be used for projects with a payback period of no more than five years,” the press service said, citing Uktelecom’s Director Yuriy Kurmaz as saying. According to the company, the funds raised will be used to expand the coverage of Internet access in settlements, upgrade the access network and other elements of the company’s infrastructure. The funds will be available from June 2018. During this time, the company’s specialists will prepare a roadmap and project calculations that are planned to be implemented in this cooperation, the press service said. “We are starting a new stage of long-term cooperation between ZTE and Ukrtelecom. From now on it will not only be in the sphere of supply of equipment for consumers, but also at the level of important infrastructural solutions necessary for the development of the Ukrtelecom network,” said Director of ZTE Ukraine LLC Mingxi Huang said.